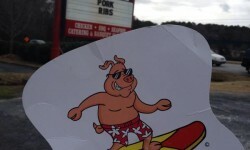 SurgPig and friend traveling on the BBQHWY check out Crossroads Rib Shack in Corinth, Mississippi. 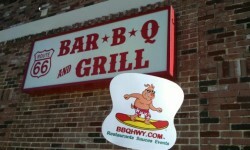 SurfPig travels the BBQHWY and stops in at Route 66 Bar-B-Q and Grill. 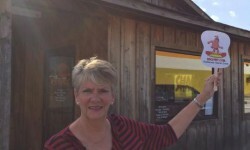 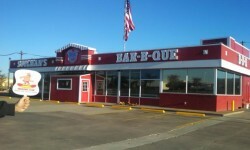 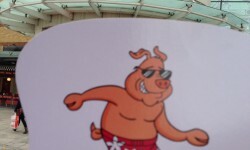 SurfPig checks out Soulman’s Bar-B-Que on the BBQHWY in the Dallas, TX area for Thanksgiving.